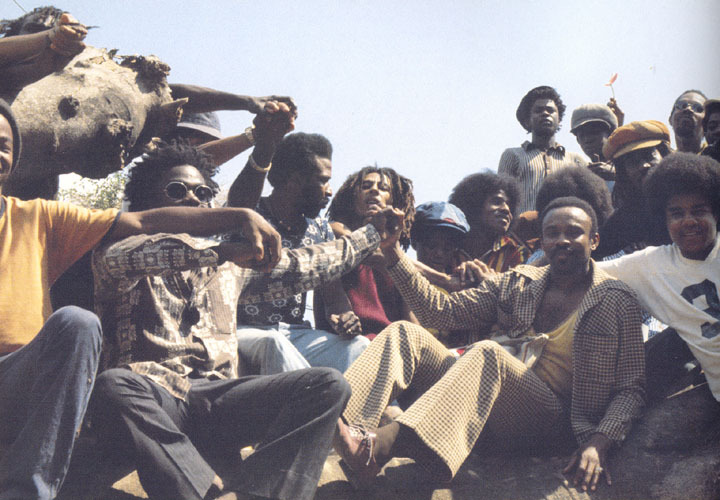 Marley had booked The Jackson 5 to open for Bob Marley & The Wailers at National Heroes Stadium before the start of their Natty Dread Tour. 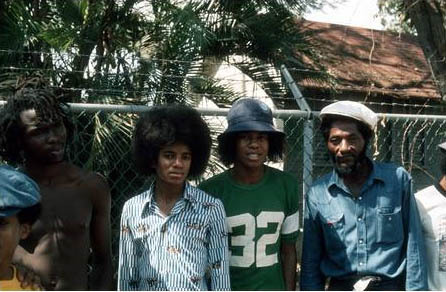 The Jackson 5 visited Marley at his home at 56 Hope St. Kingston, Jamaica before the concert. 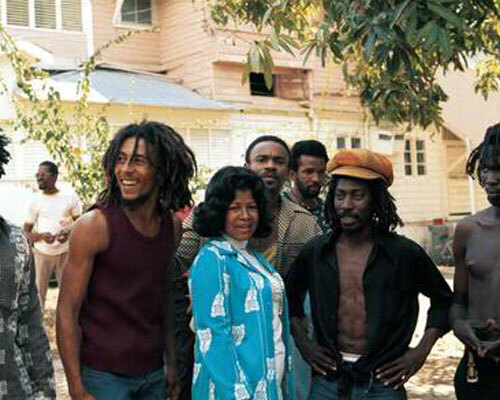 Here’s a photo of J5 Mother Katherine Jackson with Marley. 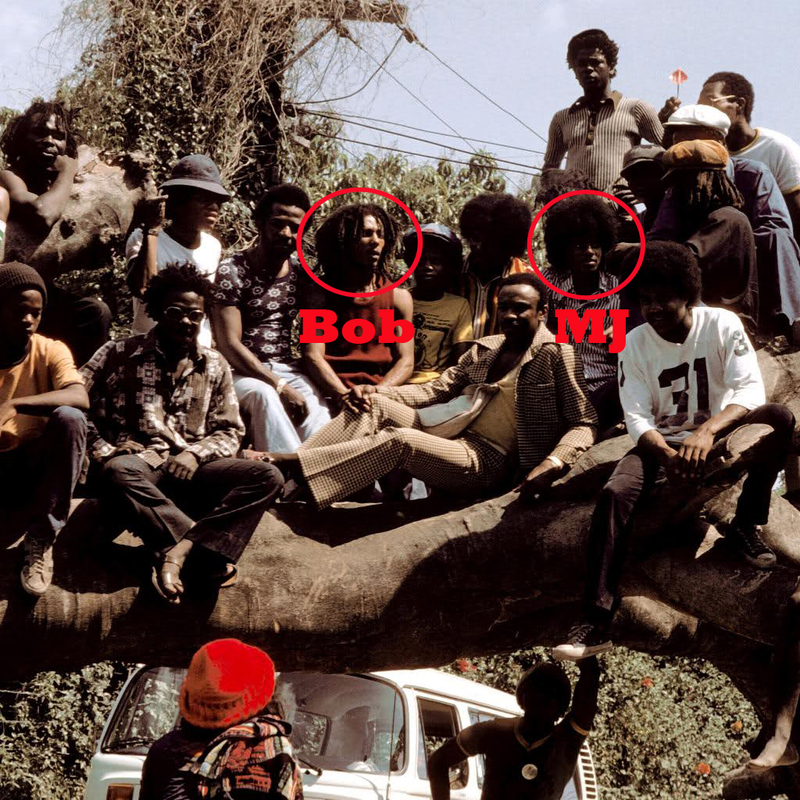 Here’s Michael, Bunny Wailer & Jackie Jackson in this photo. I hope that this tree is still up in front of Bob’s house. is not Michael, Bunny Wailer & Jackie Jackson. It’s unknown, MJ, unknown, Alvin “Seeco” Patterson. This is sooooo touching. It brought tears to my eyes.